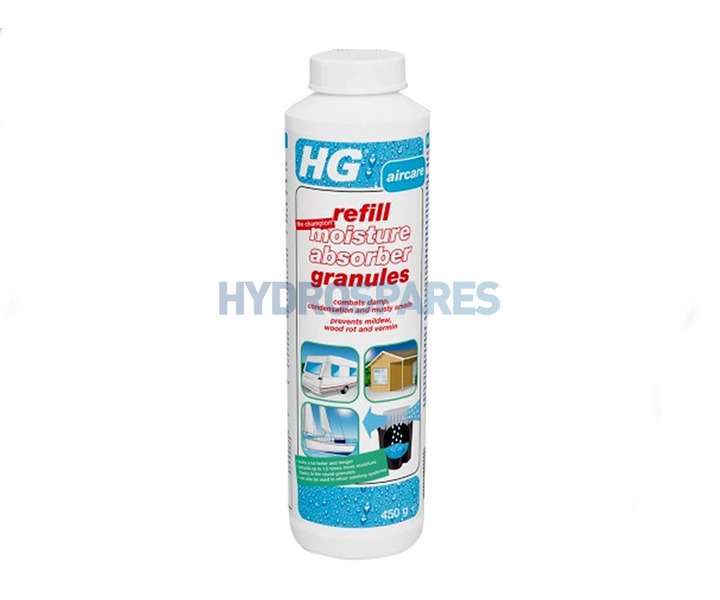 Used to refill the HG Moisture Absorber which will bring back the relative humidity to an acceptable level in spaces where it is too damp. The Moisture absorber will prevent adverse consequences of excess humidity, such as condensation, a stale smell, mildew, damp spots and wood rot. The refill pack is sold in an air tight container for longer storage and can be used in other systems that use loose moisture absorbing flakes.